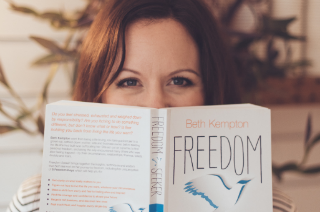 Book of the month (October): Freedom Seeker by Beth Kempton — shelf help. 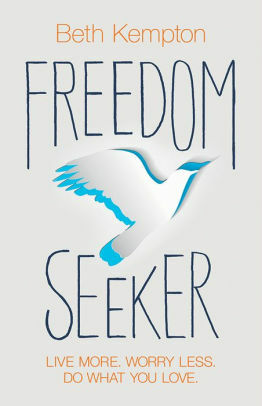 Freedom Seeker is a call to action based on one simple concept; that personal freedom is a choice. Beth Kempton went from being a life-loving, risk-taking adventurer to a grown-up, settled down, mother-wife-business owner, before realising the life she had built was suffocating her. She set out to find her personal freedom, and, along the way, discovered that many others were also feeling hemmed in, suffering from anxiety, depression and physical pain, exhausted, disconnected, and sad. Beth knew she had to share her path to freedom with others, so that they too could liberate their lives and find joy and fulfilment. Freedom Seeker is a collection of all the wisdom, techniques and steps that took Beth to freedom. It shows how to make the most of the extraordinary time we are living in, where technology offers new ways to live, work, learn and connect with each other. It's a very current manual for living more and worrying less. It is a timely self-empowerment manifesto: an inspiring and practical manual that will enable you to recognise that freedom is a choice, and that you have the power to make that choice and create the life you want. Full of personal stories of those who have taken the journey to freedom, this honest, courageous and touching book will take your breath away. It also includes a host of original, transformational tools to help the reader escape their cage and learn to soar. Beth Kempton is a mother, writer and entrepreneur committed to helping women achieve their full potential. She has worked with UN agencies, global brands, charities and individuals all across the world and has an MA in Japanese. Her company, Do What You Love, has helped thousands of people find personal, professional and financial freedom through transformational online courses and workshops. Beth will be appearing with Shelf Help founder Toni Jones at a very special book club and Q&A session at High Road House in Chiswick, West London on Wednesday 25th October. Get on the list HERE (limited places available).